Beaducation: The Blog: Border Blanks Bonanza! As Product Manager, it isn't fair for me to play favorites... but I just can't help it. 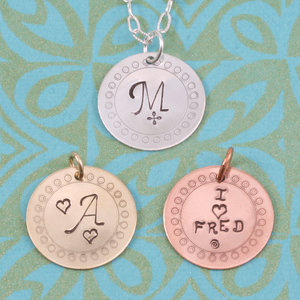 :) My favorite new product is undoubtedly our Border Blanks. These puppies take the difficulty out of stamping the Border Stamps because we have done it for you! We've created a frame for your stamped sentiment! What ideas do you have? Beautiful pieces, I like all the pieces. 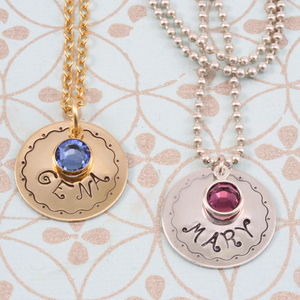 I like the idea of stamping the name of a person, we can also gift it to anyone.